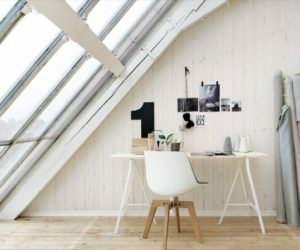 Candles are such versatile and timeless decorations, there’s barely any situation when they can’t make a space look charming and beautiful. 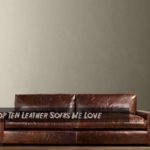 They come in an infinite number of styles, shapes, sizes, colors and with all sorts of delicious and exquisite fragrances. Decorative candles are at the heart of numerous charming centerpiece designs and homely decors, like the ones we’re about to show you. 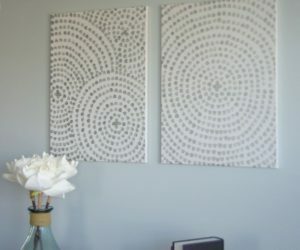 Check them out and see for yourself how easy and rewarding decorating with candles can be. 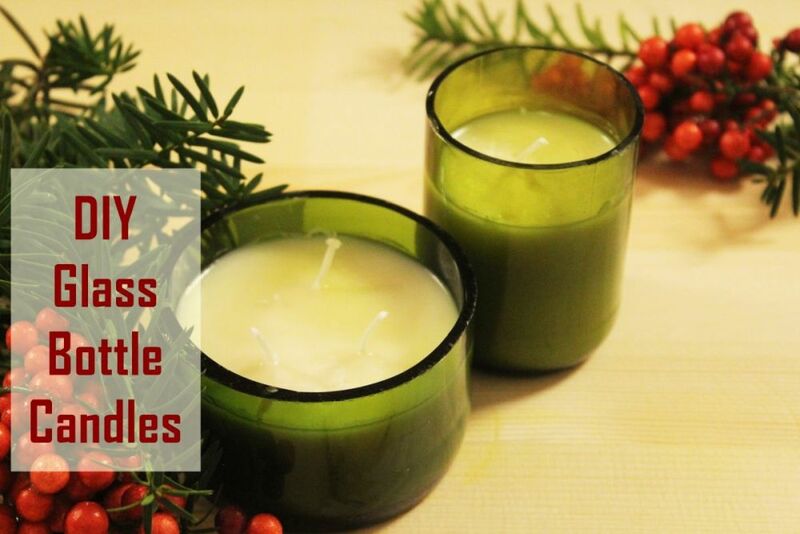 Before anything else, we just want to suggest that you make your own candles instead of buying them. 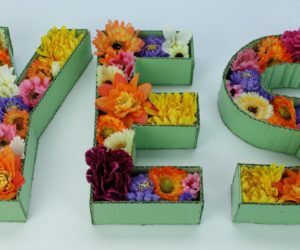 This way you can put them in custom containers and give them any fragrance or color you want. 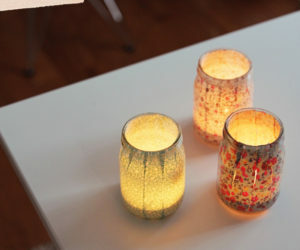 An easy project can be to make glass bottle candles. You can offer them as Christmas gifts or keep them for yourself. 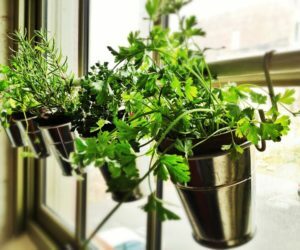 Another idea is to make some of these Citronella candles which would make cute gifts but which would also make your own home smell fresh and beautiful. 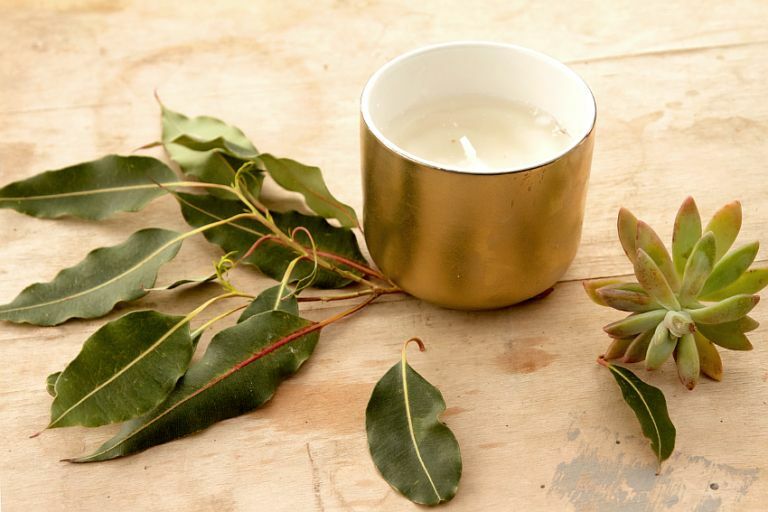 Here’s what you’ll need: a pretty container, some candle wax, Citronella essential, cotton twine, a metal wick base, a wooden skewer and a saucepan. You can also add other essential oils if you want to. 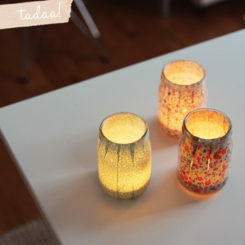 If you like to mix and match colors and fragrances, how about some striped multi-scented candles? You can put them in small jars with lids so you can preserve them. To color the wax you can use crayon bits. 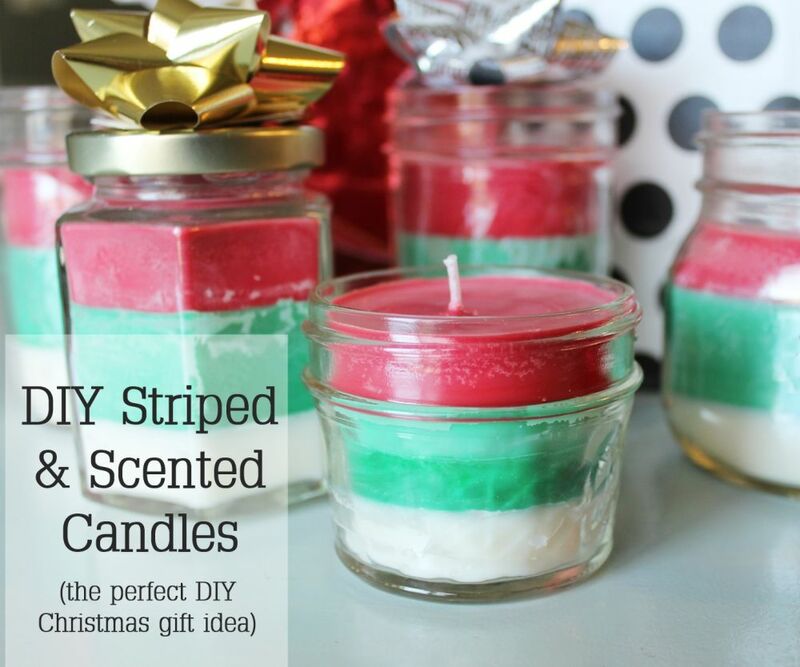 You can make each layer have a different color and a different scent. 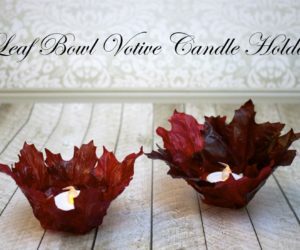 The candles themselves don’t have to be special…in fact you can use basic battery-operated candles for this project because the focus is on the leaf bowl votive candle holders. 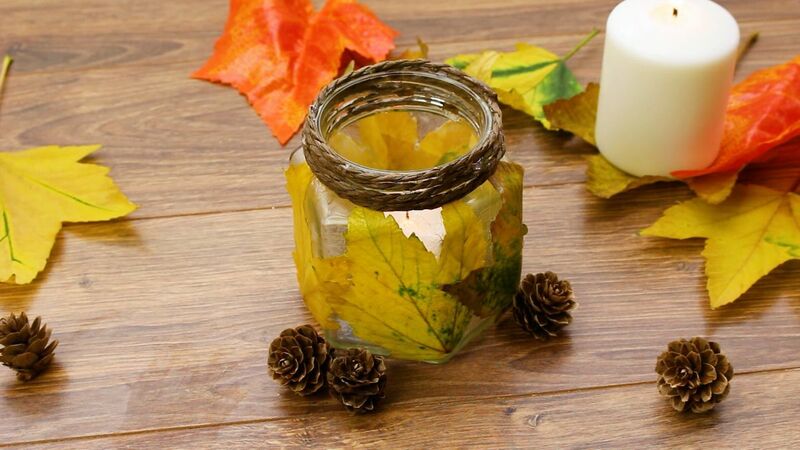 This is the perfect DIY project to welcome autumn with. All you need for this is a small bowl, artificial leaves, Mod Podge and plastic wrap. 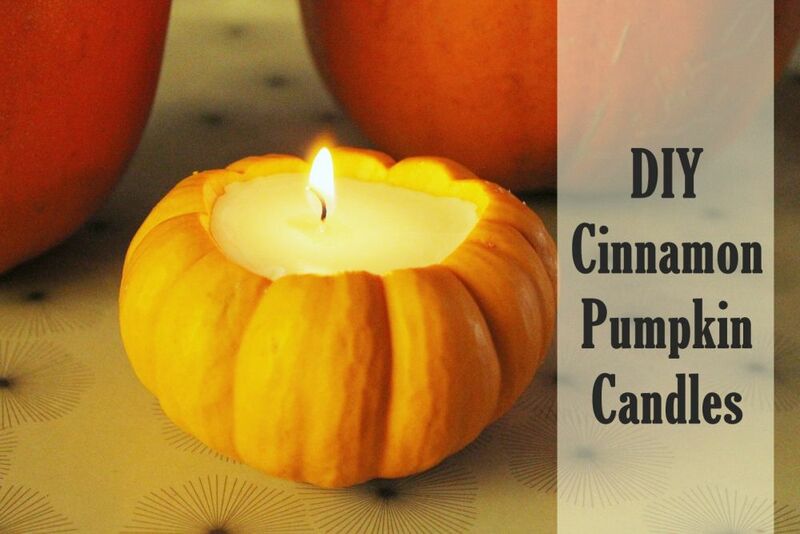 You can also welcome autumn (and Halloween) with some cute cinnamon pumpkin candles. Because you’ll be using real pumpkins and not the faux kind, you won’t be able to preserve these candles for a very long time. However, the pumpkins will make the candles smell lovely and that’s the whole point of the project. 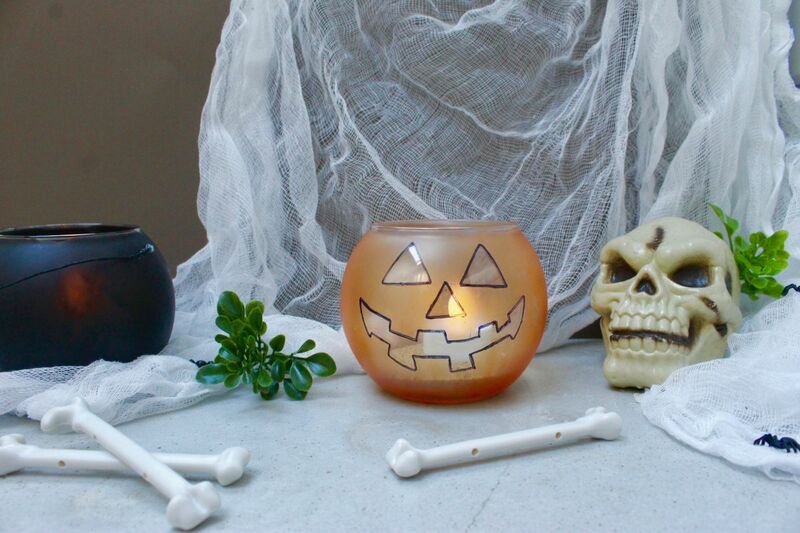 Check out these cute Jack-O-Lantern and cauldron candle holders. They’re perfect for Halloween and they’re pretty easy and fun to make too. 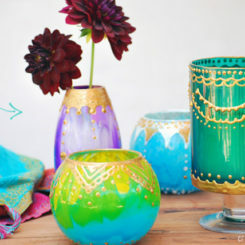 It all starts with some round glass candle holders or other similar containers. To make the lantern you’ll need some tape, orange tape and a sharpie and for the cauldron you’ll need black paint, black string and a hot glue gun. 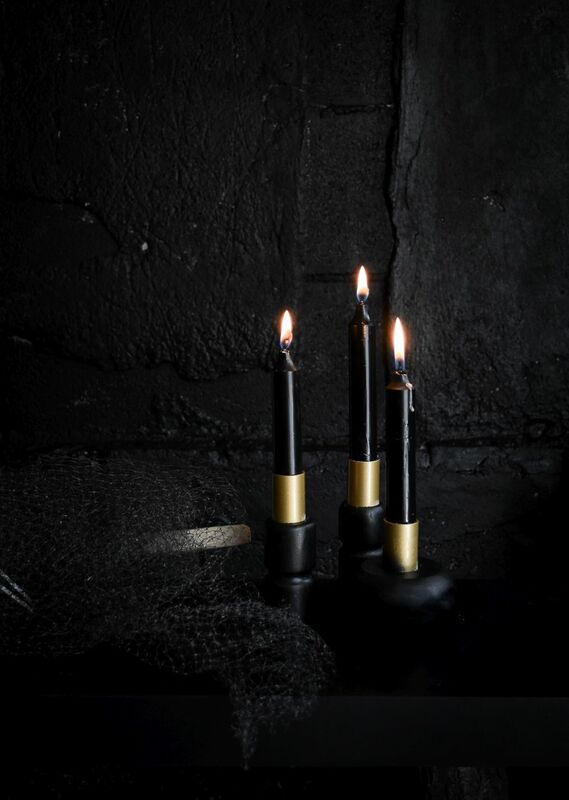 Another nice idea for Halloween can be to make black candle holders which you can pair with matching black candles. 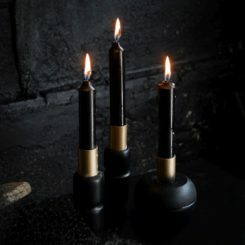 Painting some candles black is not big deal and, as far as the candle holders are concerned, you can make some out of wooden furniture legs and hardware fittings. It’s easier than you think. 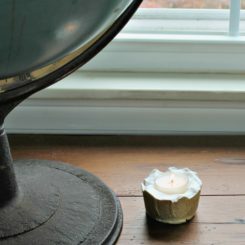 As fun as themed projects can be, sometimes it’s just nice to make some everyday decorative candles which you can always keep on your mantle or shelf. 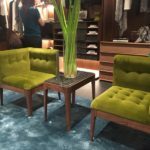 The design can match the surrounding interior decor and can be a bit neutral as far as the colors and finishes are concerned. 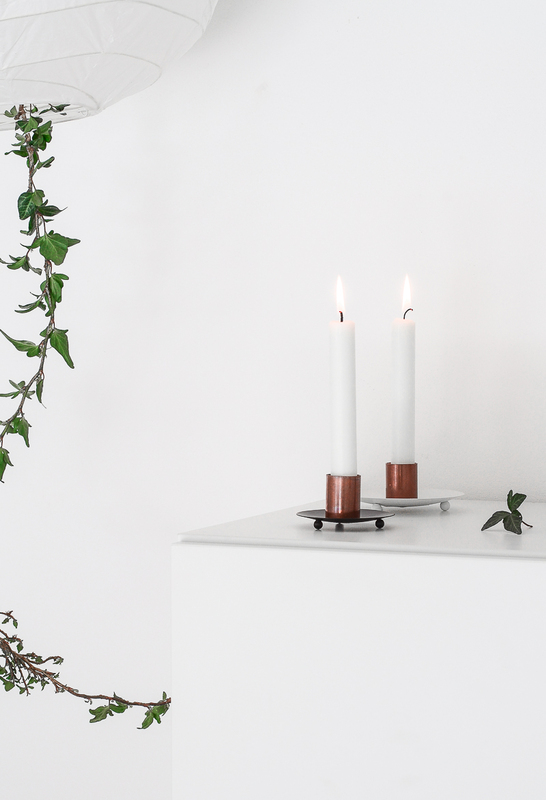 For example, these metal candle holders can look stylish in pretty much any setting. 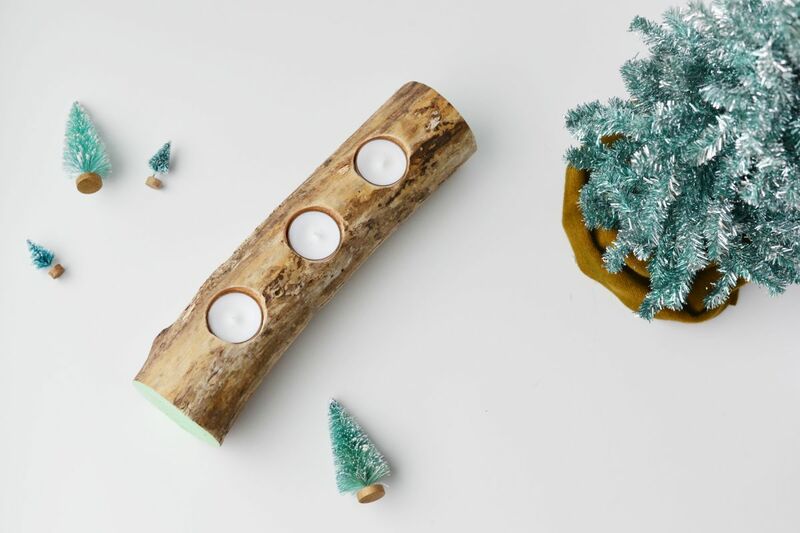 Decorative candles make great centerpieces and can be included in a lot of cool and creative designs, like that of this branch candle holder for example. 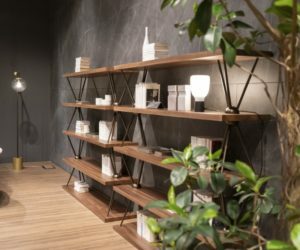 To make something like this you need a few supplies including a thick tree branch, some sandpaper, a drill, a 1 1/2” drill bit, paint, lacquer and tea lights. 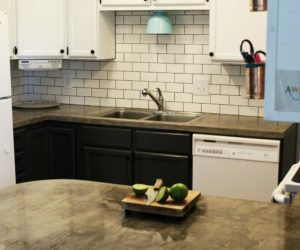 It can be a great weekend project. 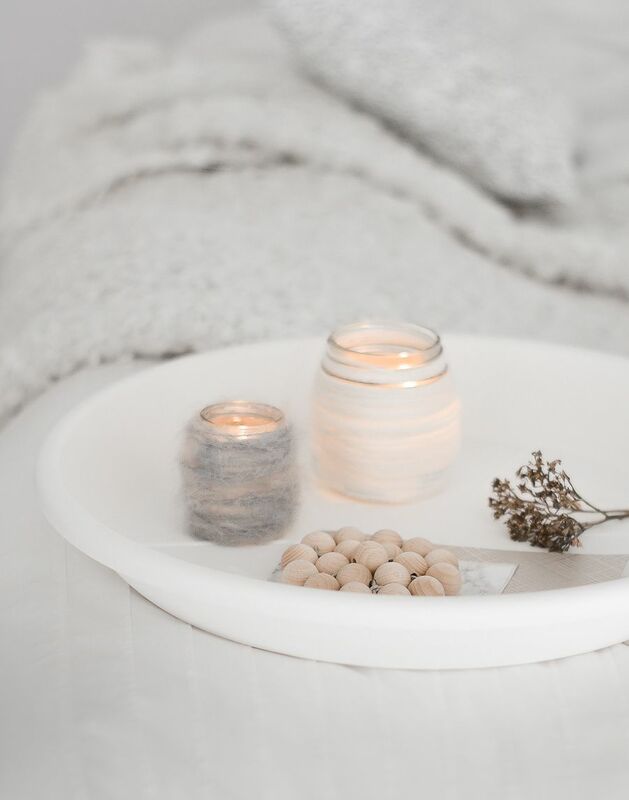 Candles in general make spaces feel extra warm and cozy and if you want to put an emphasis on that, perhaps these wool candle holders can inspire you. 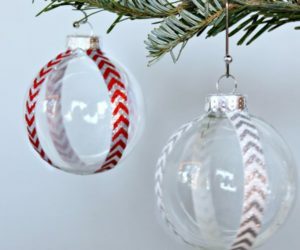 They look really cute and cozy and they’re actually super easy to make. 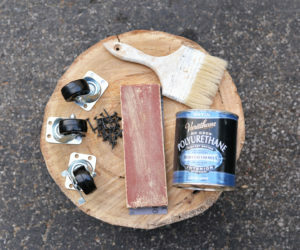 Just a glass container like a small jar, wrap some double-sided tape around it and then wrap wool around the entire jar. You’d be surprised just how many things you can use to decorate a candle, including some rather unexpected items like for example cane reed. 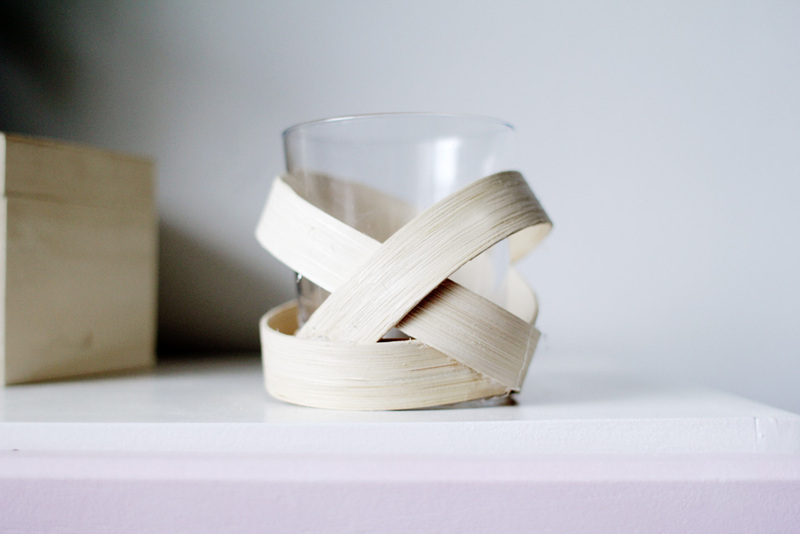 You can use to make this lovely wooden strip candle votive which looks super artistic, modern and chic. 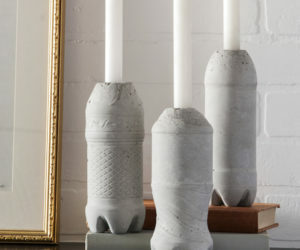 If you want some decorative candle holders which you can reuse in the future and which are sturdy and durable, consider using concrete as your main material. 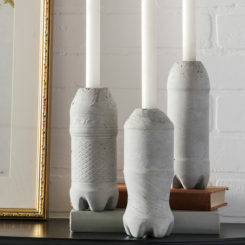 You can make concrete candle holders in no time and with very little effort. All you need is some concrete mix, a plastic cup of a container, tea light candles and some water. 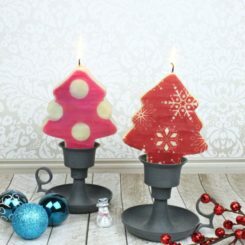 You can spray paint the candle holders at the end if you want to. 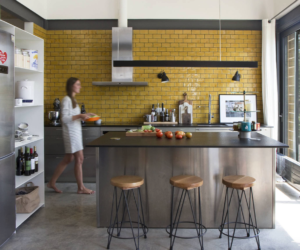 Decorative candles are not just for indoor spaces. In fact, they’re great accessories for the outdoors as well. 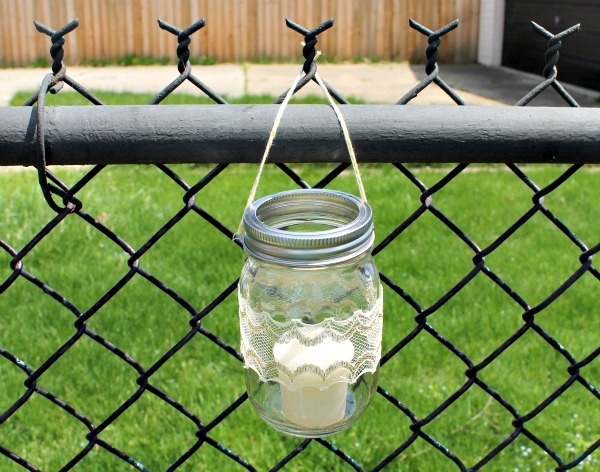 For example, this hanging mason jar candle holder can be your new favorite accessory for the balcony, terrace, deck, patio or garden. You can take it with you whenever you go outside and you can hang it pretty much anywhere. 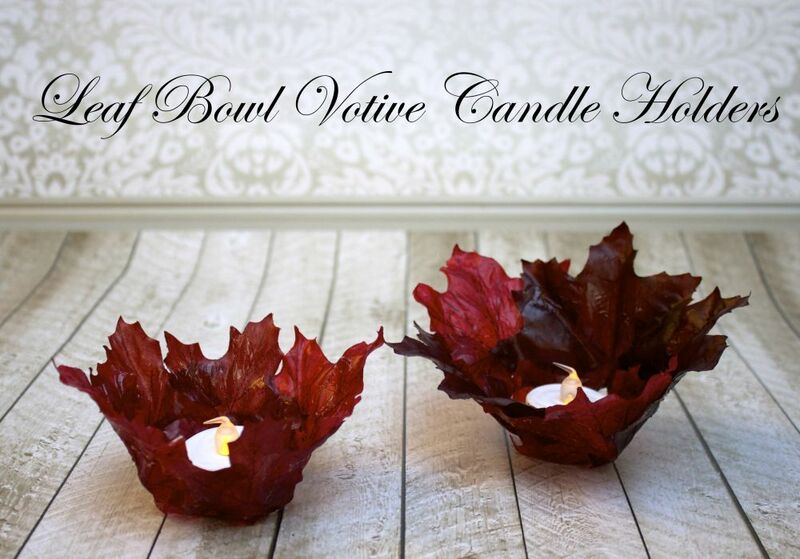 Fall candle decor can be very inspiring and we have a few nice ideas that you might enjoy. 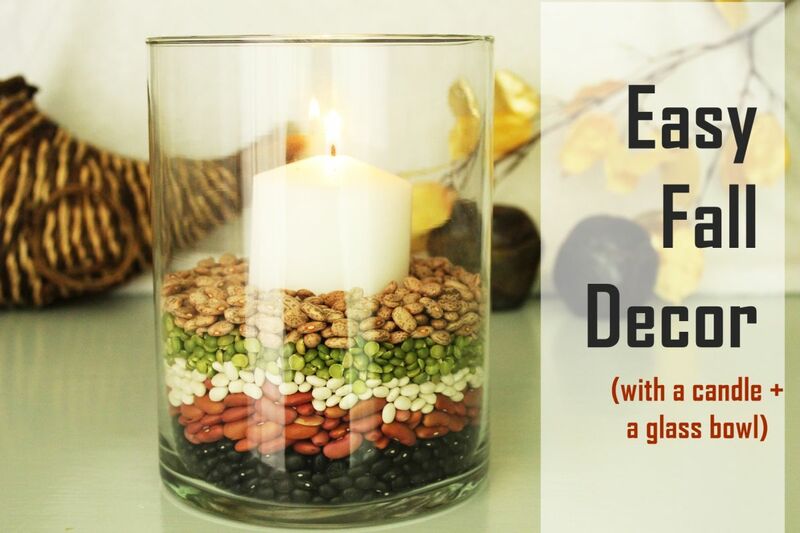 One involves a simple glass container, a pillar candle and things like beans, popcorn kernels, candy, cinnamon sticks, pine cones or even rope. All of these can be used to give your decorative candles character. 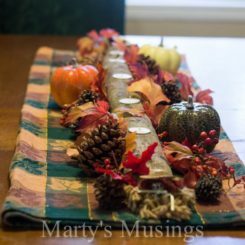 Since we’re talking about fall DIY projects, we can’t ignore the most versatile and common resource: fallen leaves. 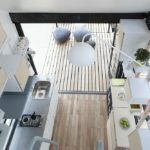 You can use them in so many wonderful ways and you can truly capture their beauty in projects like this one. 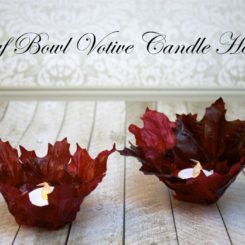 These autumn leaf votive candle holders and fun and easy to make so give them a try. 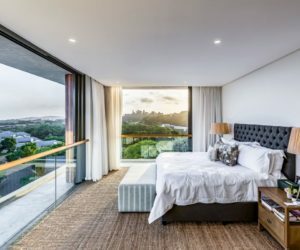 You won’t regret it. 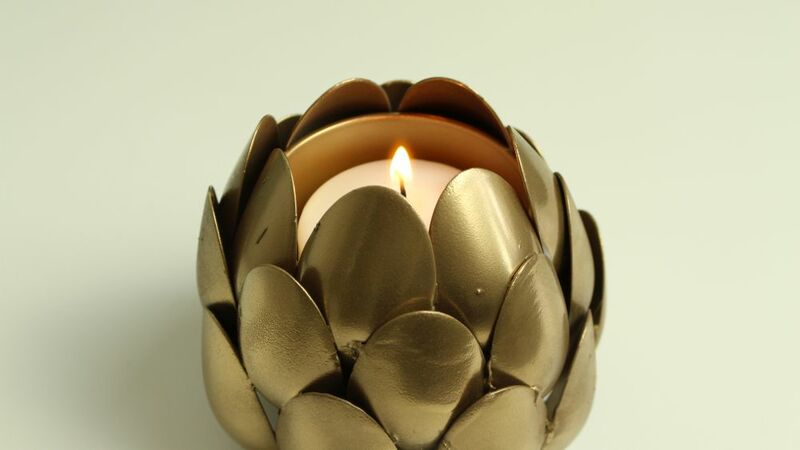 This golden candle holder looks pretty epic, sort like a dragon egg. Actually, it’s made out of plastic spoons. 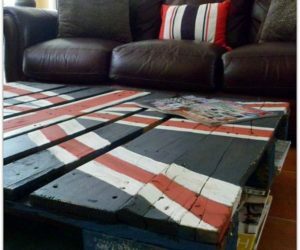 Isn’t this one of the most creative and ingenious DIY projects you’ve ever seen? It definitely is one of our top favorite ones. If you’d like to make your own candle holder out of plastic spoons keep in mind that in addition to the spoons and the candle you’ll also need a glass container, a glue gun and some spray paint. 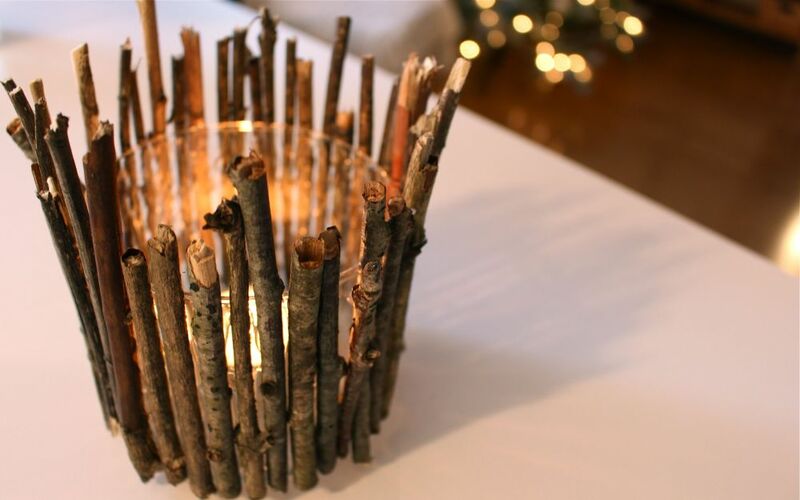 If you want to add a bit of rustic charm to your home decor, how about this twig candle holder? 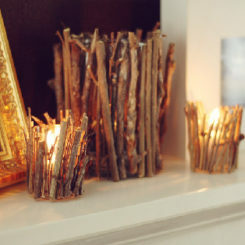 It’s really easy to make using just a plain votive holder, a glue gun and a bunch of twigs. You can cut them or simply break them so they have different lengths for a more natural and authentic look. 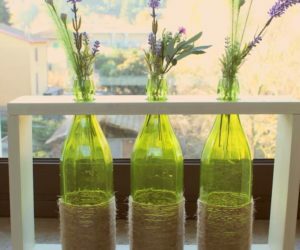 When it comes to decorative candles and basically any type of decoration in general, a useful tip is to look for ways to repurpose and upcycle items that you already have and to find new uses for old or broken things. 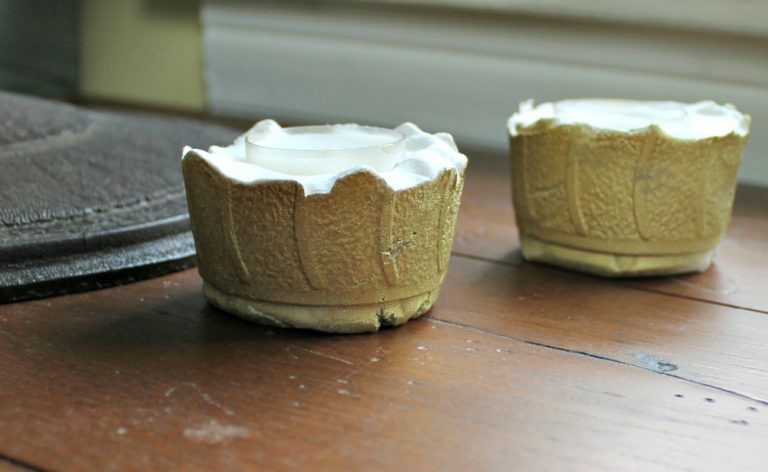 For example, you can make a stylish candle holder from old picture frames. 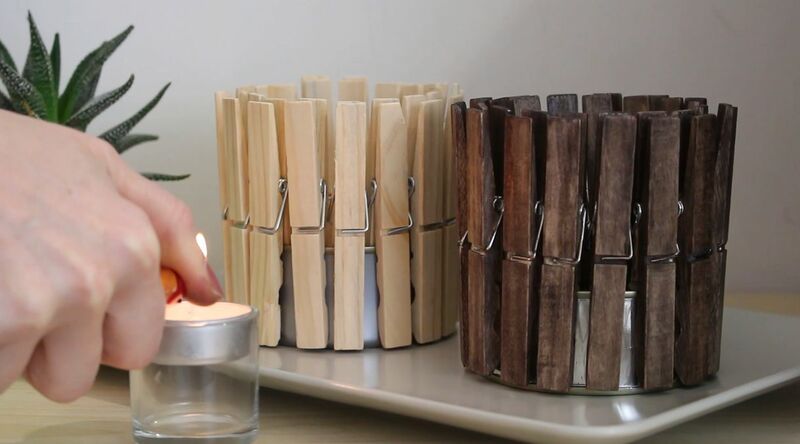 Another cool idea can be to make a clothespin candle holder. 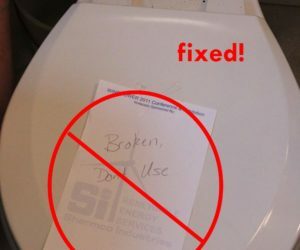 It’s a very quick and easy project. 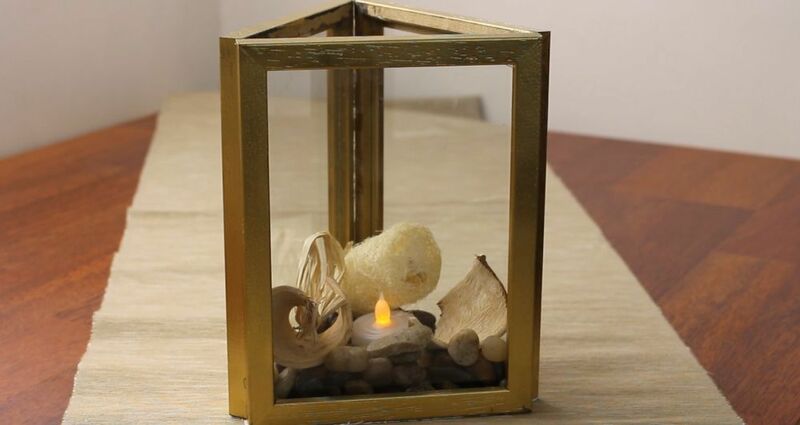 You need an empty can, a bunch of clothespins (wooden ones) and a tea light candle in a glass votive holder. You can stain or paint the clothespins if you want to. A modern candle ornament can make a super cute and stylish accent piece which you can display on the mantel, on a shelf or on your desk. 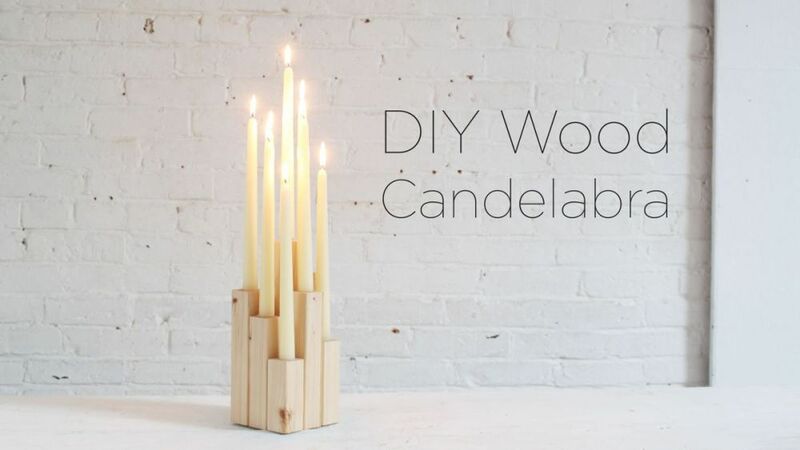 This DIY wood candelabra is a pretty nice example. 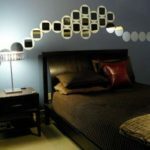 To make something like this you need a few pieces of wood and some basic DIY skills. 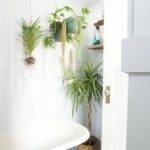 We like its raw, natural look but you have the option to paint or to stain the wood if you want it to match your home’s color palette and existing decor.